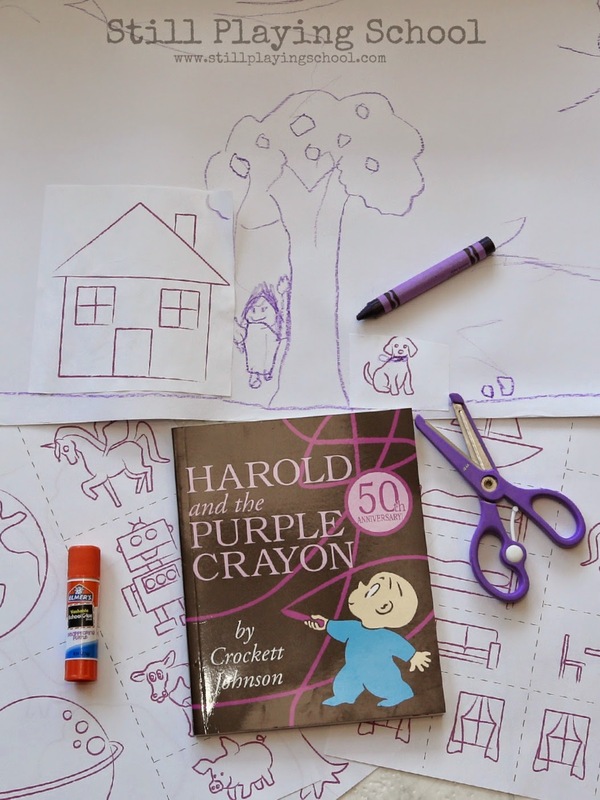 We received a creative story extension for the book Harold and the Purple Crayon as part of The Educators' Spin On It Love Books Summer 2014 Exchange! 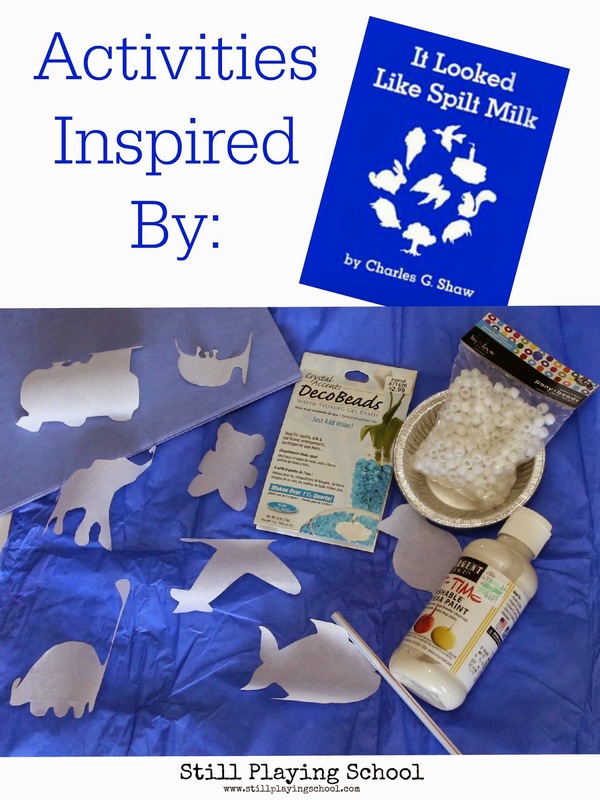 Very soon after we mailed our package of It Looked Like Spilt Milk activities to Totschooling (the queen of fun and educational printables!) we received this literary goodness back in exchange! I asked E if she had ever read Harold and the Purple Crayon and she said, "I saw a video of it once but that was awhile ago!" 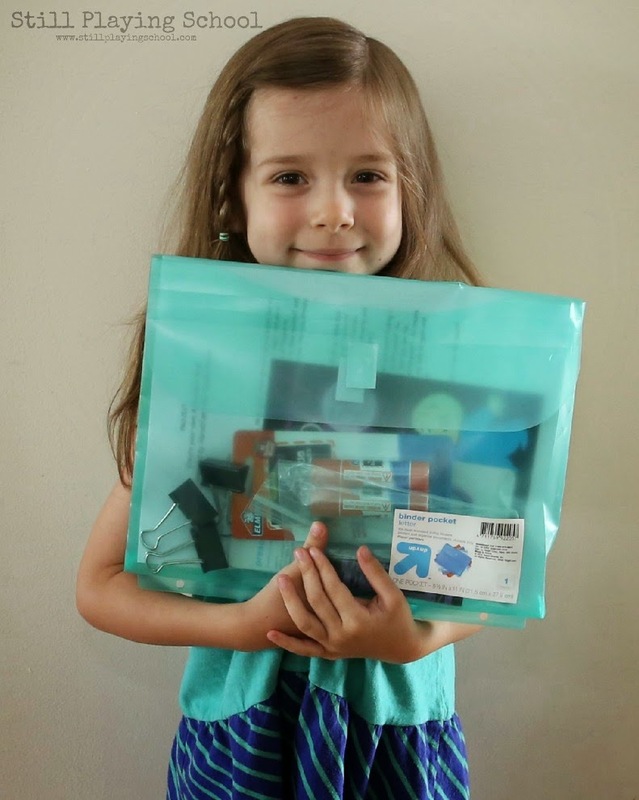 We read the story then dug into the supplies that Totschooling had sent! 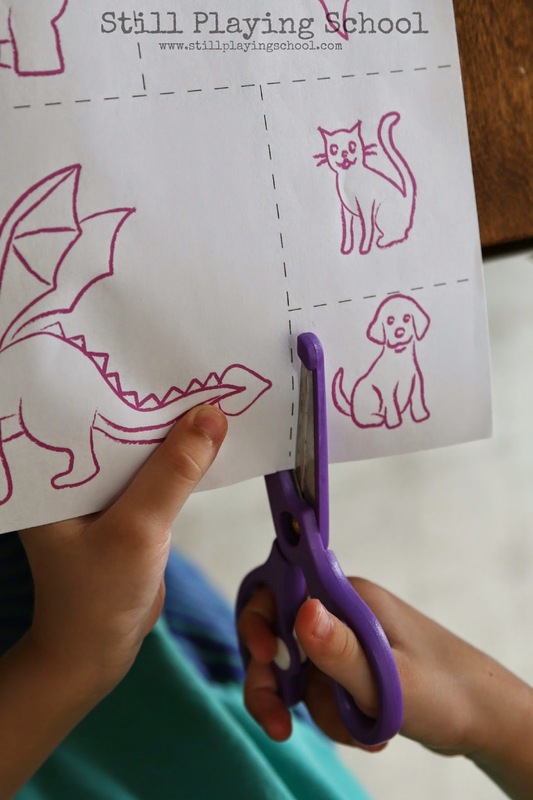 Included in our package with the book was a large roll of paper, purple crayons (of course), purple scissors, purple glue sticks, and fabulous printables of course! 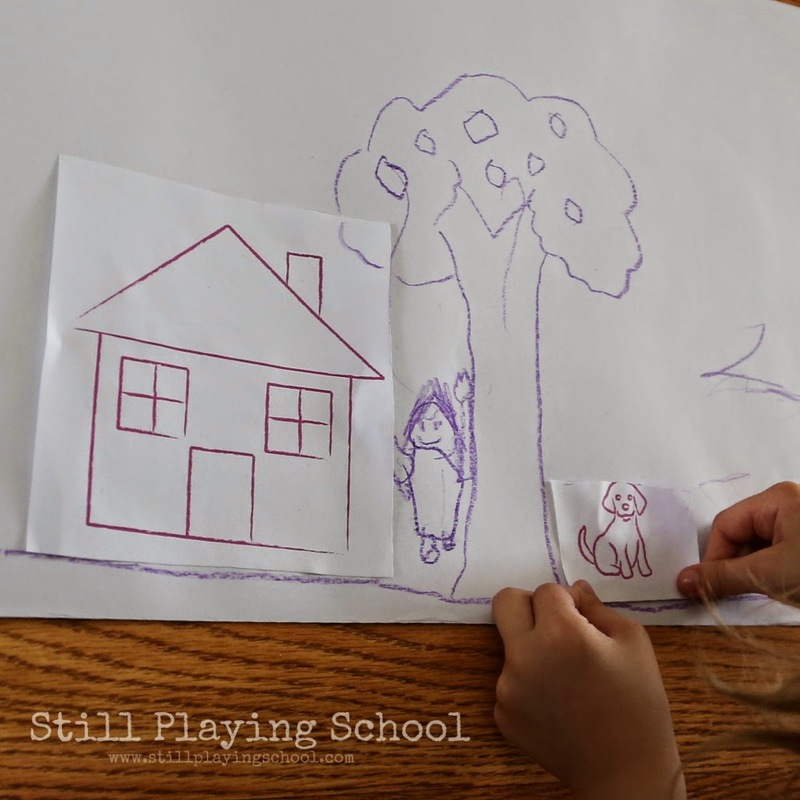 Our directions were to create our own adventure with the supplies continuing the story on the long paper roll as we went. 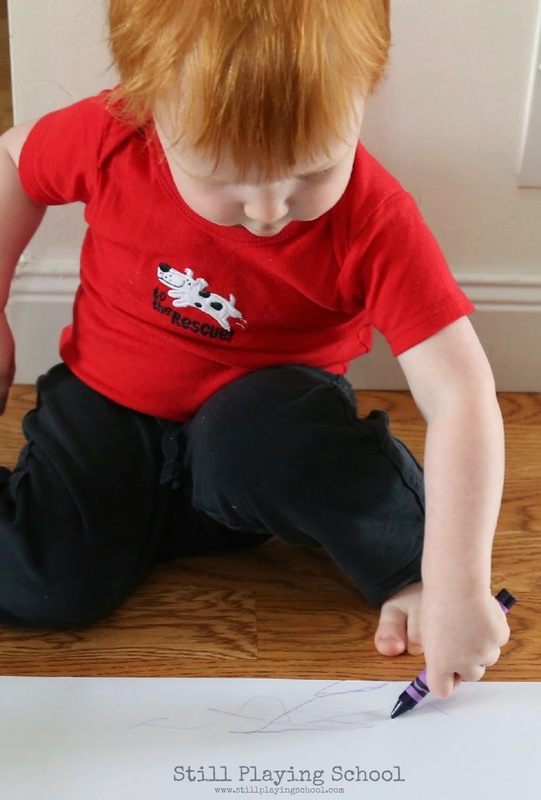 E started right off drawing a line just like Harold. 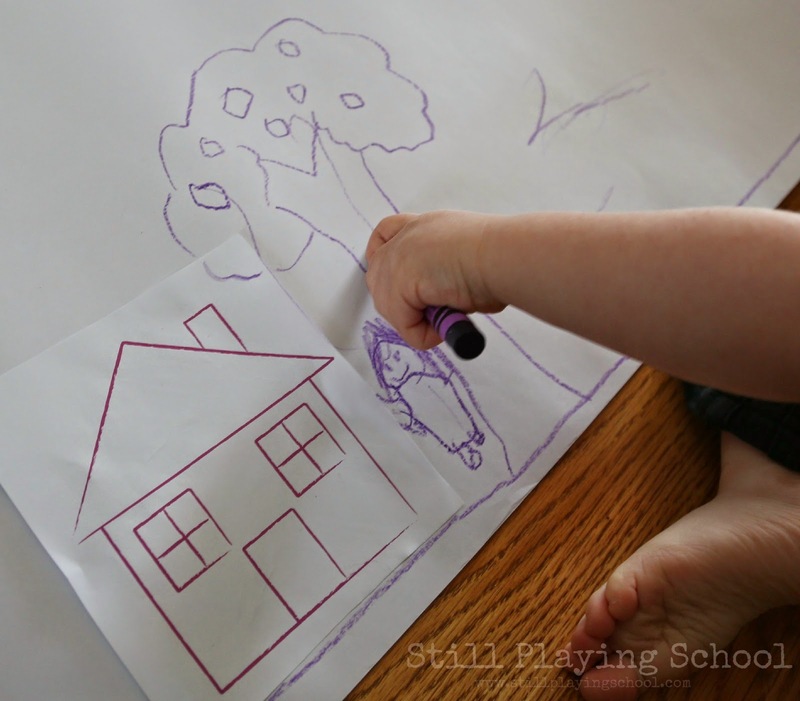 She cut and glued a house, asked me to draw a tree, and added apples to it. She drew the star of the adventure (herself) with a big smile on her face! 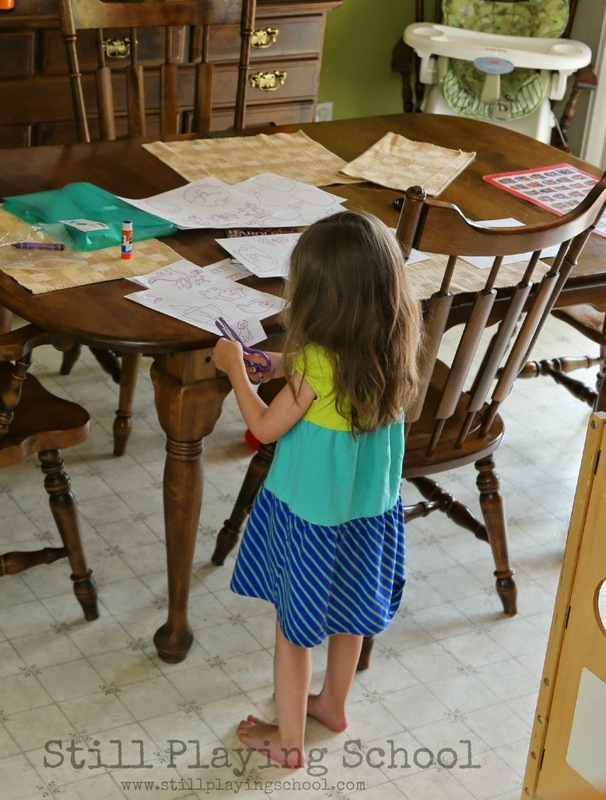 We set up a cutting and gluing station over at the table so toddler D couldn't get to those supplies. Next she chose to add a dog. These scissors (from Target) have a little spring loaded lever that you can adjust to assist preschoolers learning to cut! 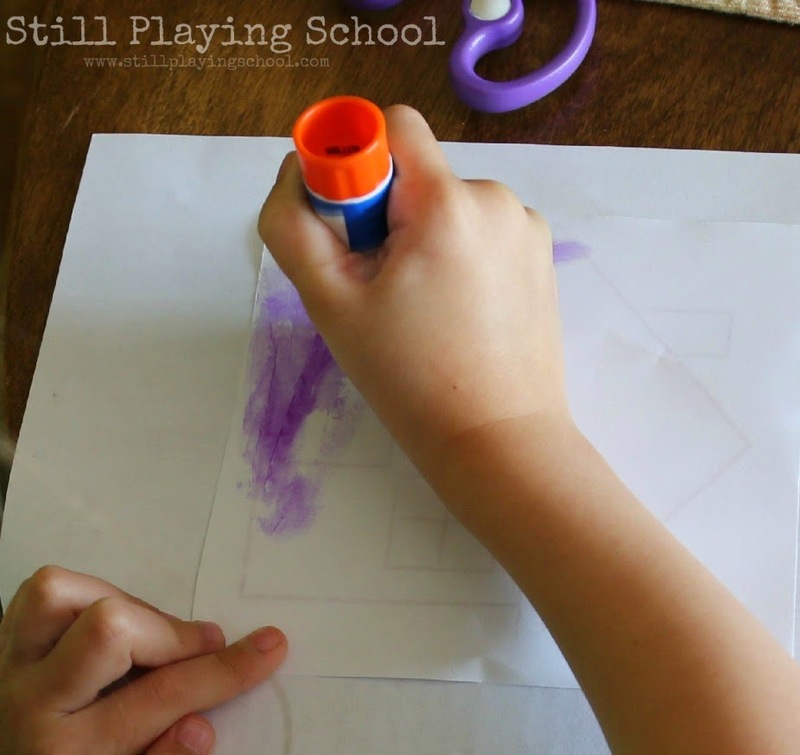 We just love how all the supplies are purple because it reminds us of Violet! While E was at her cut and glue station D crept over and added some details of his own to the adventure. E was very gracious about sharing her drawing. She directed D to draw clouds in the sky. She added her dog and drew a bone in his mouth! 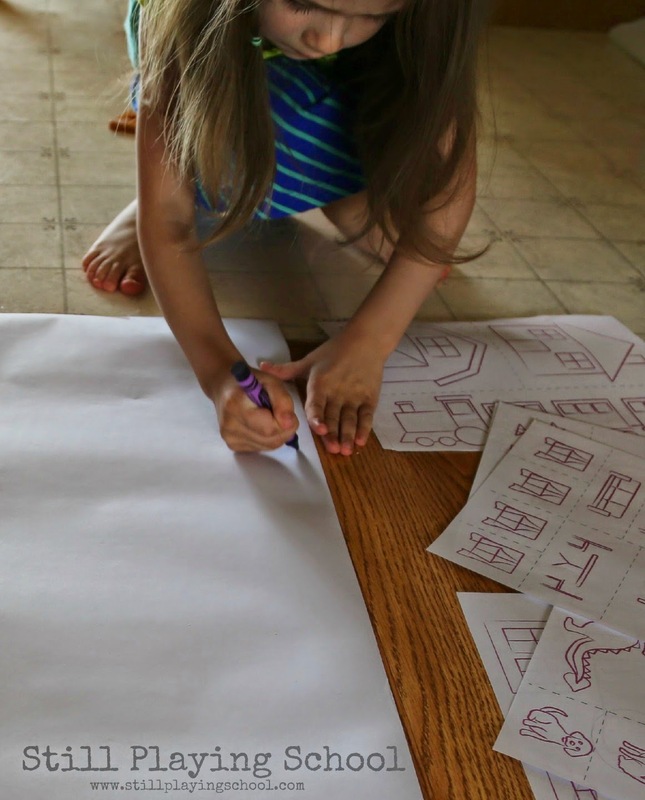 Totschooling correctly anticipated that the details we could add from her printables were the perfect inspiration for further drawings! 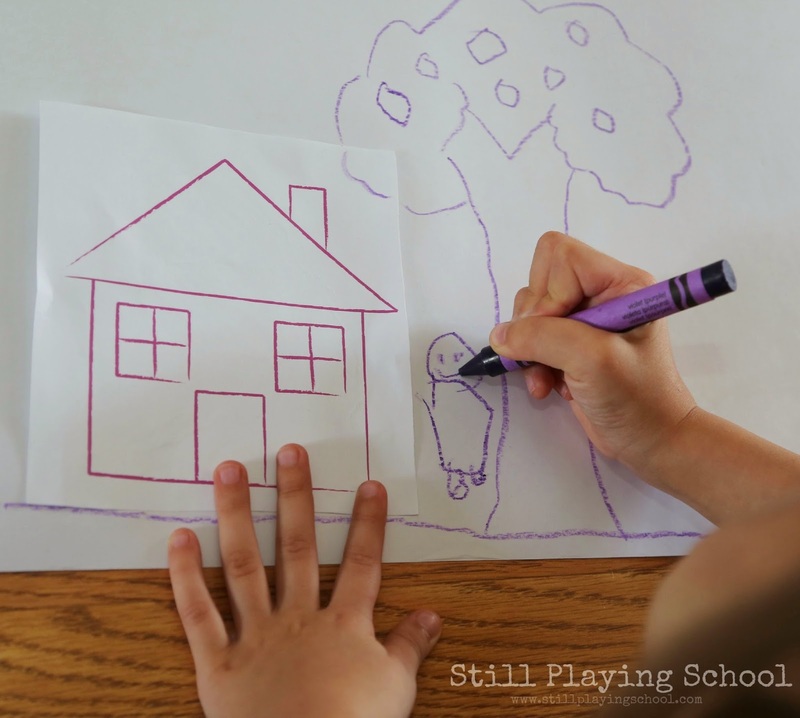 I love seeing the two of them each with a crayon in hand working collaboratively on a project together for the first time! Thanks, Totschooling! I love this! 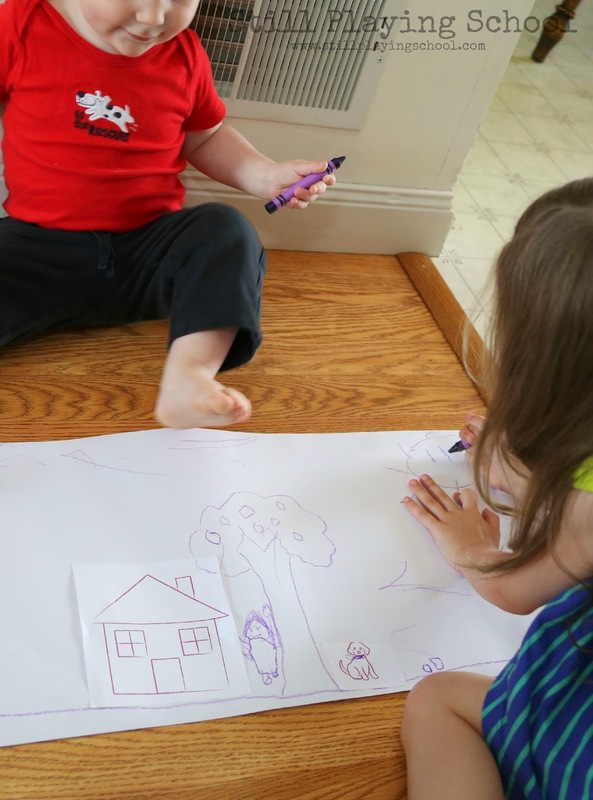 Our kids love Harold and the Purple Crayon. What a fun way to extend the learning. Please share on Artsy Play Wednesday (open through Sunday). 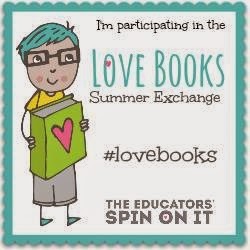 We will be doing a book activities round-up in September and I'd love to include this.